Beta-Glucuronidase Solution, From Escherichia Coli Safety Datasheet. 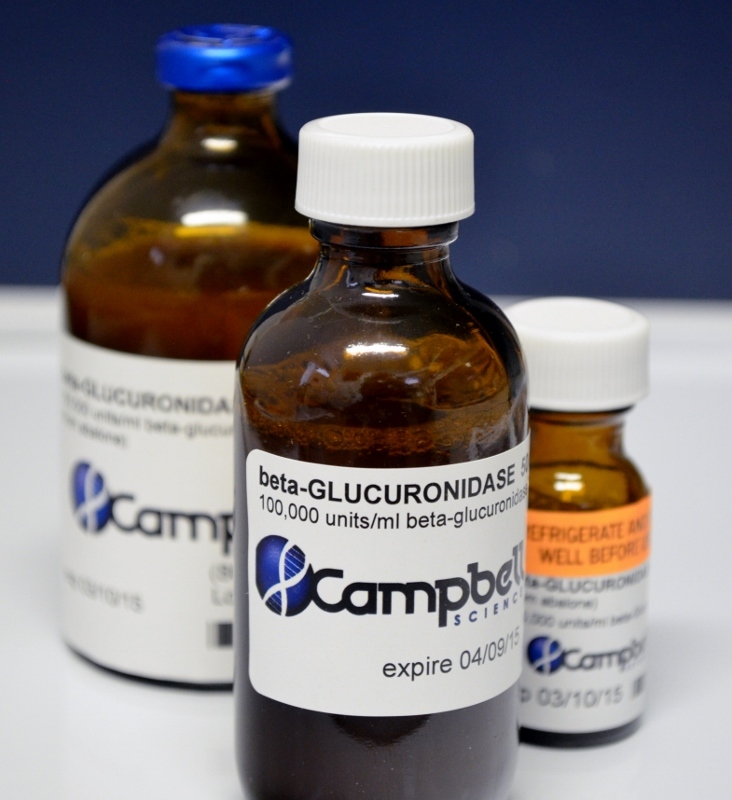 Beta-glucuronidase from e. coli has been reported to have a greater efficacy for hydrolysis of some compounds, including benzodiazapines and steroids. Unlike molluskian sources of the enzyme, beta glucuronidase from e. coli does not contain any secondary sulfatase activity. This form of the enzyme is highly effective and the ultra-pure solution can significantly shorten sample preparation. ***please note that this product requires overnight shipping!